The SMD quartz of the “SMD03025/4” series in the 3.2 x 2.5 mm/4-pad ceramic casing is the least inexpensive and most variable MINI SMD quartz with outstanding reliability. The MINI SMD quartz is now available with the frequency range of 7.9 – 74.250 MHz (AT fundamental cut) and can come with a frequency tolerance at 25°C starting at ±10 ppm with a temperature stability starting at ±10ppm@-20/+70°C or ±15ppm@-40/+85°C. Above the temperature range of -40/+105°C, the best possible temperature range is ±40ppm or ±50ppm above the temperature range of -40/+125°C. Deterioration is in the range of ±2ppm after the first year and ±10ppm after 10 years. For KNX applications, versions with an overall tolerance of ±25ppm are also available. Naturally, there are AECQ200 compatible solutions for automotive applications as well or on request product versions with higher drive level up to 500µW max. 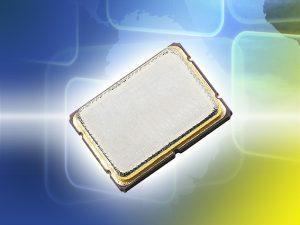 Because of the very affordable price, the all-rounder which is manufactured in clean rooms, can be used in any application which demands a very inexpensive SMD quartz with excellent parameters and outstanding durability such as in the automotive, medical, embedded, industrial, commercial, IoT, Wi-Fi, wireless (WLAN, ISM, KNX, ZigBee, Z-Wave, etc. ), consumer, telecommunications sectors and more. Of course, the range of PETERMANN-TECHNIK products also includes 32.768 kHz solutions (quartzes and ultra low power oscillators). In supplement to the very extensive product range, the specialist at PETERMANN-TECHNIK also provide substantiated product advice. Very comprehensive circuit analyses/circuit simulations can also be performed by in-house engineering as needed. These analyses are carried out based on the DIN/IEC60444 standards for oscillating crystals and include oscillation safety tests (determination of the exact oscillation reserve), determination of the piezoelectricity and more. At the end, there is a very comprehensive report which may include recommendations for adjustments or confirm the correct dimensioning for the circuit to be tested. Support for this series is carried out in coordination with the engineering, purchasing, production and QA department of the customers. The aim is to make use of a very extensive range of services to be able to facilitate a fast time-to-market for the customer.